Usually when we give a smile to a baby we get a cheerful smile in return even if the baby is not familiar to us, however, it hardly happens that a stranger does the same. In fact, 7 out 10 people is afraid to greet a complete stranger because they are scared about the possibility that the other person will not give a positive response, in truth, the world today is badly affected by the fear of getting judged. Most of us live in the fear of rejection which creates a barrier between us and others, but, we were not born like this. We have been programmed to behave in certain ways by the society and that’s why I am so much concerned about the personal development of kids. Mind of babies is like a blank page and the story that will be written in it will become the ultimate truth for them for the rest of their lives, if we care about them, then we must do something to write a positive story there, not the one that has been taught to us like most people do. 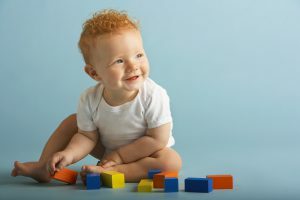 Infants don’t have a logic based mind up to a particular age, in other words, the decision-making mind that is your conscious mind is in a developing phase at that time. Most of the deep rooted beliefs that now decide your behaviors were actually implanted in your mind when you were a kid, that is why you inherit so many qualities from your elders. The learning mind of a baby is like a computer that accepts whatever data you feed and the kid’s behavior in the future will be based on these suggestions. Some qualities are definitely not in our control but, most of the behavior that a person develops is decided by their family and society. All our limiting beliefs that are responsible for who we are today is not ours, we inherited them directly or indirectly from those who impacted our lives when we were growing up. 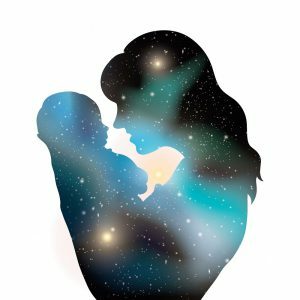 I focus on how to improve our lives by removing the energy blocks created by the negative beliefs present in our subconscious mind on this blog, my work has lead me to the realization that the newborns are mostly free of any such thoughts and we can implant a blueprint to a happy life in their minds. How Baby’s Mind Is Trained? Words, ideas or beliefs that are brought repeatedly to the awareness of a kid gets into their subconscious mind, based on this, they will develop a behavioral pattern that is in accordance with these beliefs. The baby’s mind also picks up the vibrations of the family members, so pretending to be happy does not really work. It is true that you can help them to form empowering beliefs by telling them positive things but you should also be honest because they are connected to you on a deeper level. Happy kids are raised by happy people and the same is true for all the other qualities. Even when we scientifically look into this, we find that environment is the key factor that decides the behavior of a person. So our job should be to provide them an environment which reflects the type of beliefs that will help them to form a positive outlook toward life and world. We must be very aware and careful when we are around babies because we never know how we will affect their future unknowingly. So the best thing parents can do for their kids should be to focus on their own personal growth because a baby will naturally pick it up. They should also be extra careful about their emotional state. I have always seen that people who become parents are very focused toward providing their kids what they did not get in their life, even people who do charity works does this, they try to help the new generation by giving them what was lacking in their own childhood. Well, that indeed is a good thing to do but we must understand that we cannot be there for them always neither can what we are going to give them is going stay unless it is a “perspective” or “mindset”. Abundance mindset can only be the best gift we can ever give to our next generation because time cannot destroy it and these new beliefs will help them to create a better life for themselves which they will pass on to the next generation. See, our society is also not responsible that our powerful subconscious mind consists of beliefs that are not letting us achieve our goals because those thought patterns have traveled generations, but, I believe we can put an end to that chain for sure. For babies, we can only focus to create a good environment, but we can teach kids after the age of 3 a lot of things, I am exploring materials that will help kids to develop a positive mindset and I have come across a program called success training for kids which contains materials that make children aware of their creative power, I believe you can give this as a gift to any kid known to you for their next birthday so that you could contribute to their personal growth. I hope you enjoyed this post. Share your thoughts with me by commenting below, I would love to hear your views on this.